In collaboration with Sharjah Art Foundation, The Irish Museum of Modern Art is presenting Sunset, Sunrise, a major retrospective of the work of renowned artist Monir Shahroudy Farmanfarmaian on 10 August 2018. In collaboration with Sharjah Art Foundation, The Irish Museum of Modern Art is presenting Sunset, Sunrise, a major retrospective of the work of renowned artist Monir Shahroudy Farmanfarmaian on 10 August 2018. The exhibition features the artist’s sculptures, drawings, jewellery and unseen work from the artist’s studio in Iran. Now in her mid-nineties, Farmanfarmaian was born in Qazvin, Iran in 1924. She attended the Fine Arts College of Tehran before graduating from Parsons School of Design in 1949. 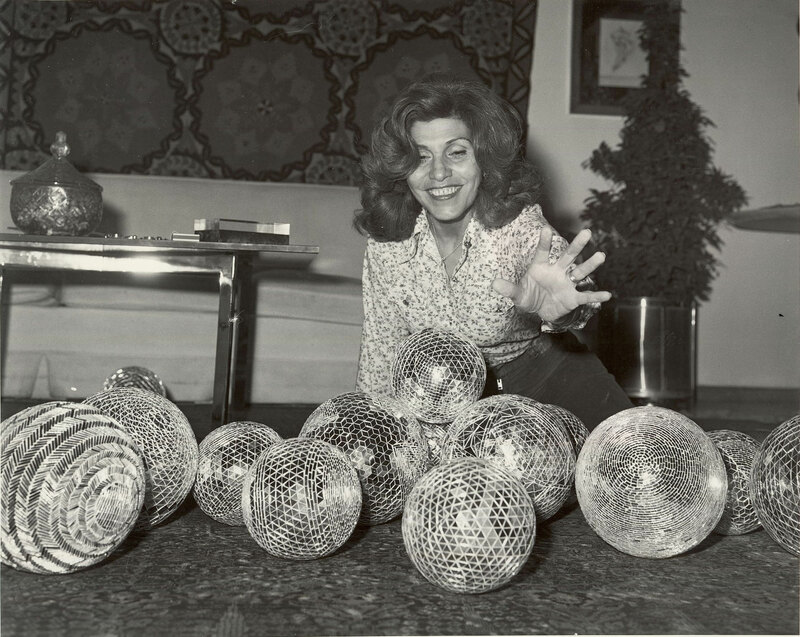 Throughout her long career, she created work with a strong connection to the history of Iranian reverse-glass painting and mirror mosaics, a craft traditionally passed on from father to son. Accompanying the exhibition is a fully illustrated publication focusing on the artist’s practice, and her favourite poems as well as newly commissioned texts by Rahel Aima, Dr Tina Kinsella, Caoimhín Mac Giolla Léith, Murtaza Vali, Rachel Thomas and Hoor Al Qasimi, as well as extracts from Hans Ulrich Obrist’s previously published interviews. The publication is co-published by IMMA and Sharjah Art Foundation. Sunset, Sunrise is co-curated by Rachel Thomas (Senior Curator: Head of Exhibitions, IMMA) and Hoor Al Qasimi (Director, Sharjah Art Foundation). The exhibition is organised by IMMA in collaboration with Sharjah Art Foundation, United Arab Emirates. The exhibition will travel to Sharjah Art Foundation in 2019.